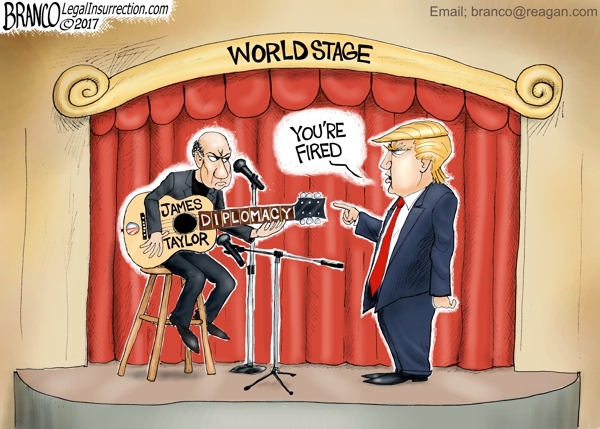 Out with Obama’s James Taylor diplomacy and in with Donald Trump America first approach. Political Cartoon by A.F. Branco ©2017. I believe President Trump is and will continue to be one tough POTUS.